Storm Lasseter won the golden gavel, which is awarded to the top individual speaker in the state. This award is usually won by a senior, and Storm beat out over one hundred other students. Sophie Rahman and Olivia Northcutt-Wyly became the first team from DISD in decades to place. Sophie and Olivia won all of their preliminary debates (including beating Coppell, a very competitive team) and won sixth place. Storm Lasseter and Juan Diaz made the octafinals (sweet sixteen). 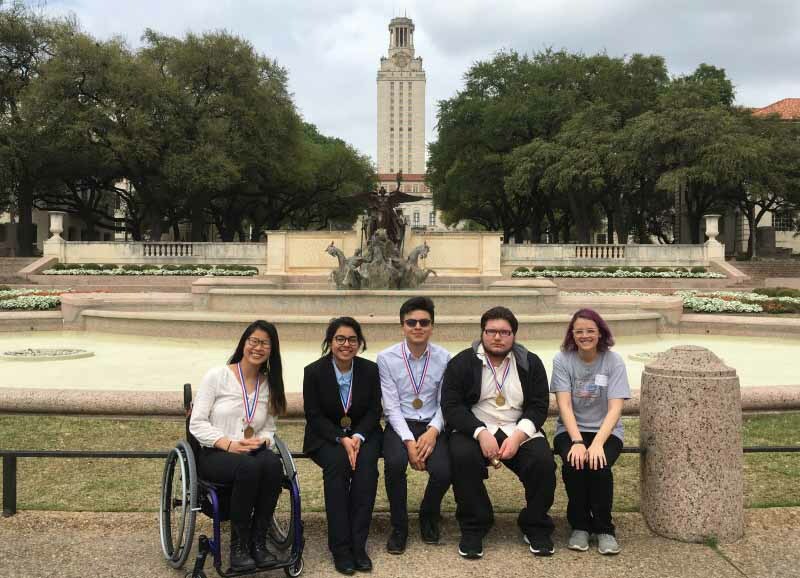 This is the first time any school from Dallas has had two teams in the top sixteen, and the first time a team of two girls from Dallas has placed. Prior to state, SEM placed second place at the varsity city championships, qualifying Sophie and Olivia to nationals for the second year. We will be going to Washington, DC to represent Dallas at the National Association of Urban Debate League Nationals. Olivia was first place individual speaker, Sophie was second, and Benjamin Hernandez was fifth. Olivia has won the top individual award at every Dallas meet this year. Thank you for your continued support of the debate team – next up is novice/JV city championships.